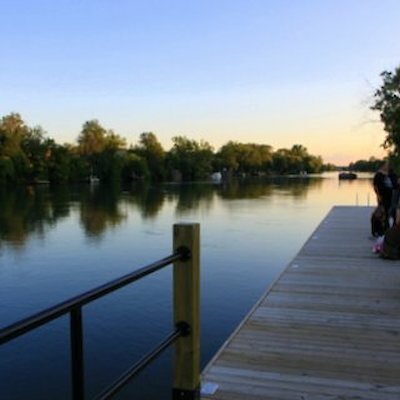 Just a few miles above the Canadian Horseshoe Falls is the small historic Village of Chippawa. It’s where one of the major battles of the War of 1812-14 took place. There’s more about this battle in an earlier blog. I now want to talk about the Chippawa Creek (local’s call it Crick). 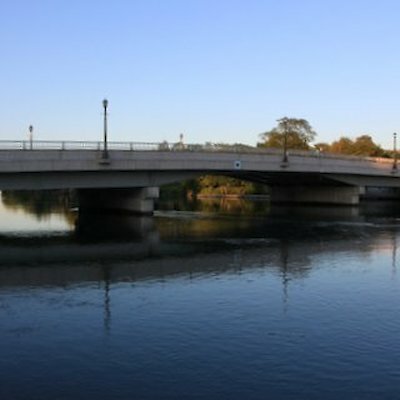 The official name of the waterway is the Welland River. Prior to 1829 this river flowed into the Niagara River (west to east) but when the first Welland Canal was built in the late 1820’s the flow of water was reversed by dredging a treacherous sandbar at the mouth of the river where it met the Niagara River. The water now flows from the Niagara River into the Welland River (east to west). This allowed ships travelling down the Niagara River from Buffalo to travel down the Welland River from Lake Erie to Lake Ontario to the new canal by-passing the falls. Here are a few recent photos I took of the Chippawa Creek at dusk. You’ll also see the new bridge built in 2010 that travels over the creek.